Atrellus publishes various materials and guides to assist our clients in managing their businesses. Materials are generally free to clients and available to non clients for a reasonable fee. 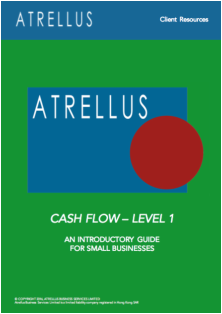 We are pleased to make out Cash Flow - Level 1 guide available for all to download below. Using easy to understand terms and definitions, this guide takes the financial novice through the basics of calculating, identifying and analysing Cash Flow. By following our 6 Steps all small business owners can quickly build a solid understanding of the core components of Cash Flow - the life blood of all businesses.